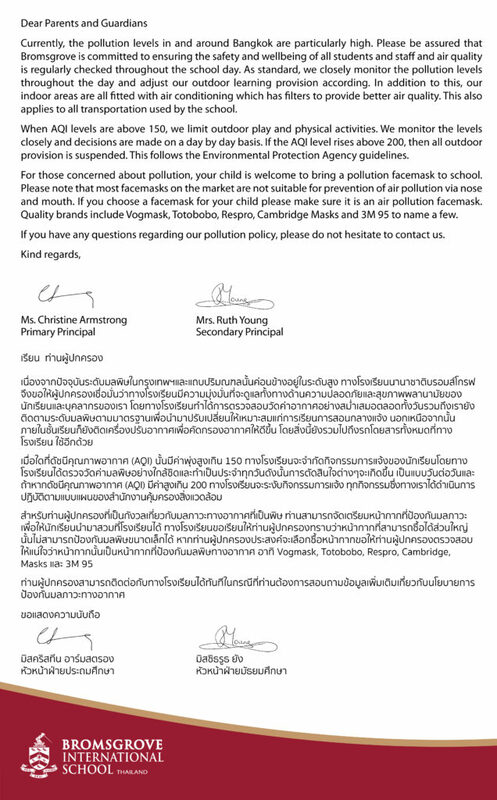 As we are experiencing higher pollution levels than normal here in Bangkok, we are closely monitoring the AQI level throughout the day here at school. We have a clear Pollution Policy in place and we react and respond to pollution levels accordingly, which may include restricting some or all outdoor activities depending on the level. Please contact us at 02-989-4873 if you have any questions further to the information already shared with you from school.